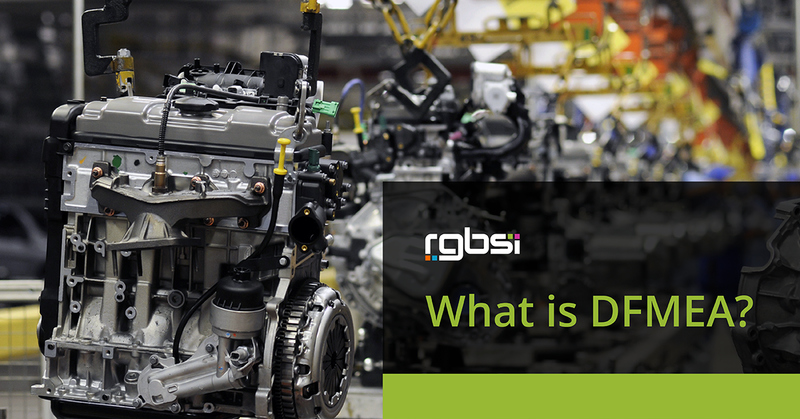 Design Failure Mode and Effects Analysis (DFMEA) is used to detect potential design failures of parts before they can make a significant impact on the end users of a product and the business distributing the product. A design flaw in just one part of a whole can have a domino effect leading to an extensive product recall. This can really set back for company financially. That is why it is important to invest in DFMEA processes to avoid liability from design failures. DFMEA is used throughout in the preliminary stages of the design process before a product goes into production. DFMEA allows designers to report uncertainties associated with potential failure modes inherited from a part’s design. This information can be used to mitigate risk and find alternatives to counteract defects. Design teams are able narrow down concepts in developing the most resilient part design. Identify the part, its relation to other parts, and the product as a whole. Identify the part's intended function by benchmarking similar parts or using lessons learned from previous design reviews. Identify all ways that the part could fail in performing its intended function. This includes failures related to warranty or field failures. if the identified failure(s) were to occur list the impact it would have on the end user, the product as a whole, or the business. Identity the elements of design that contribute to potential failures. 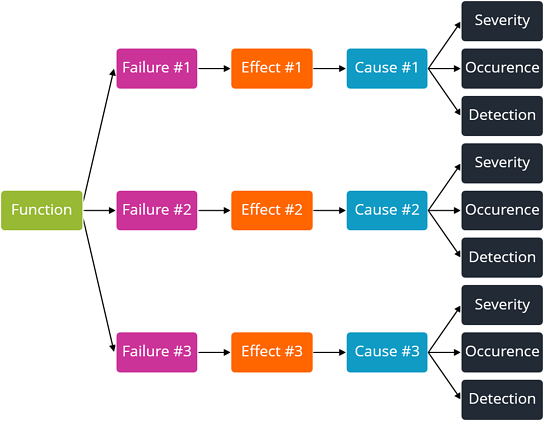 Assign a severity ranking 1 (low risk) – 10 (dangerous) to each of the identified potential failures as a consequence of it actually occurring. Assign an occurrence ranking from 1 (least likely) – 10 (extremely likely) to each failure based on the likelihood it will fail. S x O x D=RPN 1 (low) – 1000 (high risk). Make a determination if the calculated number is acceptable for the failure being analyzed. 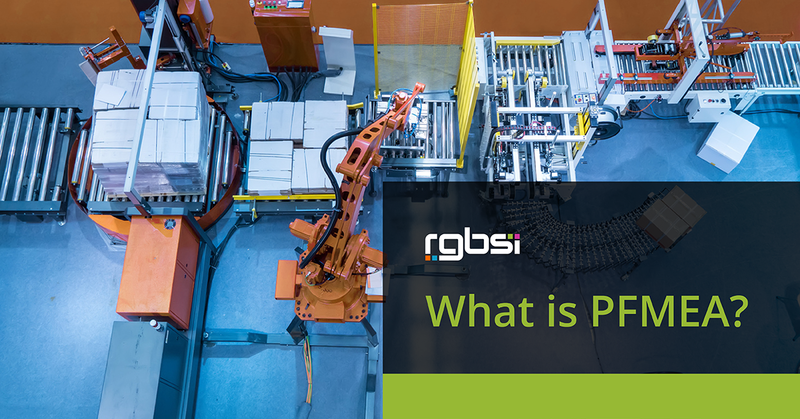 Detail process controls and detection methods to decrease the RPN and implement them into the process. Once failure control methods are in place, recalculate the RPN to measure any improvements. How does DFMEA connect function, failure, effect, and cause? DFMEA allows design teams to fine-tune their designs during PPAP before production and reduce the likelihood of part failure from occurring. The DFMEA method provides a framework with tangible numbers to conceptualize the seriousness of potential failure and impact of its occurrence on dependent variables. Looking for help with DFMEA, PPAP, or other quality areas? At RGBSI, we provide full service quality lifecycle management (QLM) solutions that optimize manufacturing supply chain initiatives. 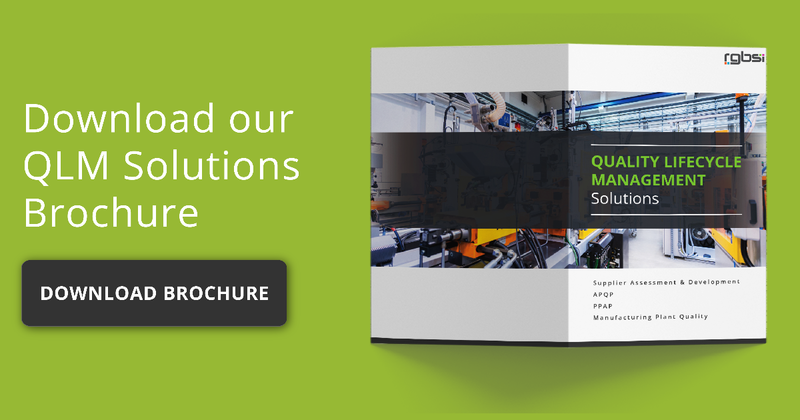 Organizations within automotive, aerospace, and other engineering segments leverage our expertise to validate, manage, and assess their current processes.